Looking for a reliable cleanser that isn’t too heavy or strips all moisture from your skin? Well, Obagi Medical has a solution for that. 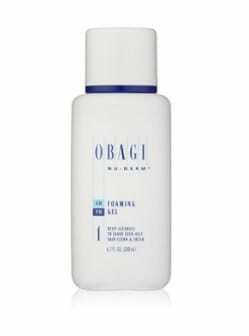 Known best for their high quality, effective skin care products, Obagi produces a great facial cleanser that thousands of men and women have come to love. It’s called the Obagi Nu-Derm Foaming Gel and it is one of the most highly rated cleansers available today. Obagi Foaming Gel is a blend of herbs, natural cleansing agents, and aloe vera. It’s a very gentle formula that helps to get rid of dirt, grime, and other nasty junk that facilitates acne breakouts and other blemishes. Extended use of this product will help revitalize your skin and make it even more soft. It’s usually combined with other products within the Obagi system such as Obagi Hydrate. Obagi Medical recommends this product for individuals with normal to oily skin. It is meant to be used once per day. All that is required is to simply wash your face with the gel, rinse it off with warm water, and pat the area dry. We’ve tested plenty of cleansers in the past and we almost always come back to the Obagi line when it comes to skin care products. This company has always produced great cosmetics that work well and are reasonably priced. Below we’ve outlined the pros and cons of this product to help you with your decision. 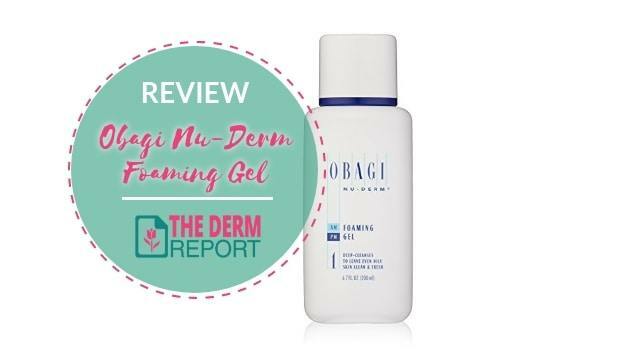 Made up mostly of natural extracts, aloe vera, and water, Obagi’s Nu-Derm Foaming Gel is a gentle formula that can be used on even the most sensitive skin. But the blend is also proven to be quite effective as a cleanser. Nevertheless, everyone should always do their homework and learn what’s in a product before using it themselves. Also includes: Aloe Barbadensis Leaf Juice, Medicago Sative (Alfalfa) Extract, Borago Officinalis Extract, Chamomilla Recutita (Matricaria) Extract, Sodium Chloride, Xanthan Gum, Saponins, Phenoxyethanol, Methylparaben, Propylparaben, Ethylparaben, Butylparaben, Fragrance. Been using this for years and just love it. It’s so gentle, cleans well and smells divine!! Great cleanser for combination to oily skin types. Does not dry out skin. Overall, we recommend giving this cleanser a shot. It has been proven by many to work very well for clearing up acne and brightening up the skin. It is a little bit pricey but it’s worth every penny.